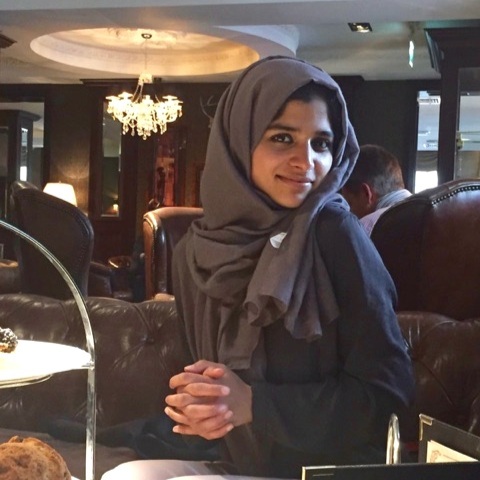 Today we read all about Hira’s world as a muslim pharmacist female entrepreneur in the tech world and how she found the confidence to shine whilst being part of the 1% of the 1% of the 1%. Hey Hira, welcome to We are Auburn and thanks so much for taking the time to sit down with us to talk about your world. Could you tell us a little bit about yourself? What does your world look like? I am Hira Aslam, a Muslim pharmacist entrepreneur. I lam the eldest of 6 siblings. I love the outdoors and adventure therefore love travelling. I am involved in charity work as I believe there is something about giving to others that make you feel complete. My world is quite exciting as I am starting a new venture of Your Medicine Your Choice in my life. What is your definition of success today? To me real wealth is not abundance in money (although driving an Aston martin without having to look at your bank balance seems great) but it is contentment. This would also include having the love and support of those who matter to you so that you can prosper in the person you are meant to be. I believe that once you have contentment you can achieve great things. Be you unapologetically and success will come. How different is that from when you were in school? What did you want to be when you grew up? At school I was your typical nerd. I was very anti-social (it took me a whole year to make a friend! Yes you heard right haha). I was also one of those nerds who would actually cry If I did not achieve the top grades in my class. My career choice changed form being an Astronaut to a fashion designer to a Cardiothoracic surgeon to a pharmacist. So when did you realise that giving people their choice back in medicine was your passion in life and what gave you the confidence to go after it? I realised when this problem affected me. I had a job interview with the head of Marketing and sales of a fortune 500 company. The guy introduced himself and a minute later I forgot his name. I thought he looked like a Tim so I decided to call him that. He wasn’t called TIM. I was anemic and went to the doctors. When I checked the patient information leaflet I realsied there were ingredients in the medication that I could not take. I explored this further and realized that there is a problem. I was not settling in my typical 9-5 job and would ask myself that surely there is more to life then this. My personality and characteristics did not match a typical 9-5. I figured out my purpose and found out my why. It lead me to this venture. How would you describe The Vegan Chemist and the brands mission/purpose? Vegan chemist will be an online platform where you will find all your over the counter medication, hair care, make-up, Footcare, live blogs and an interactive platform for users etc that is all suitable for vegans. You will not have to do research and find what is suitable. It will be an amazing experience where you simply like something and you buy it. Mission: To build a legacy that will impact the lives of those who have been deprived of this choice. I believe that one should not have to suppress their moral compass due to a lack of choice. That is such a powerful purpose! For those of us who are newly discovering Vegan Chemist what can we expect to see in the upcoming months? This is a bit shallow but one of my tooth is not in line with the rest so when I smile I was actually doing half a smile. I have now come to terms with it. I choose to be imperfect in a world that is trying so hard to be perfect! So when do you feel most confident? When my to-do list has a massive red line across it to say that the task is done plus wearing good shoes is when I feel like superwomen. Yeah, I love boxing and swimming. Sometimes a good hike does the job too. Physically and mental activity is very important in order for me to function at my best. Lastly, what advice would you give to anyone who is perhaps struggling to find the confidence to conquer their world? You must put yourself in uncomfortable situations to grow. This will increase self confidence. Do not wallow in self pity for too long as life is too short. Thank you so much Hira! It’s been fantastic to interview you and hear about your world. To find more about Vegan Chemist check out their instagram.